The 19th century was a time of dispossession and dislocation for many Native nations.1 Yet not all tribal groups lost or were banished from their homelands. 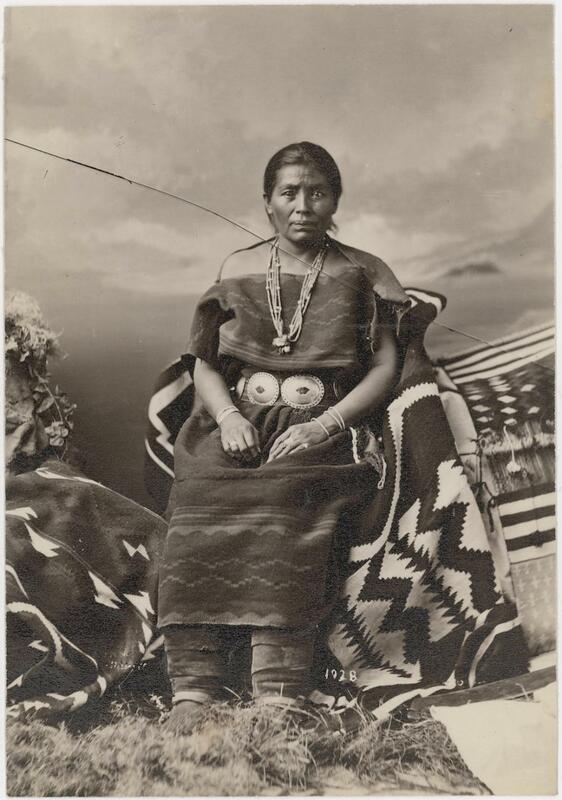 Though wrenched from their aboriginal territories, in 1868 the Navajo managed to return to and regain a significant portion of their tribal estate in the Four Corners area of the Southwest, and they continued to expand their nation’s boundaries in the late 19th and 20th centuries. 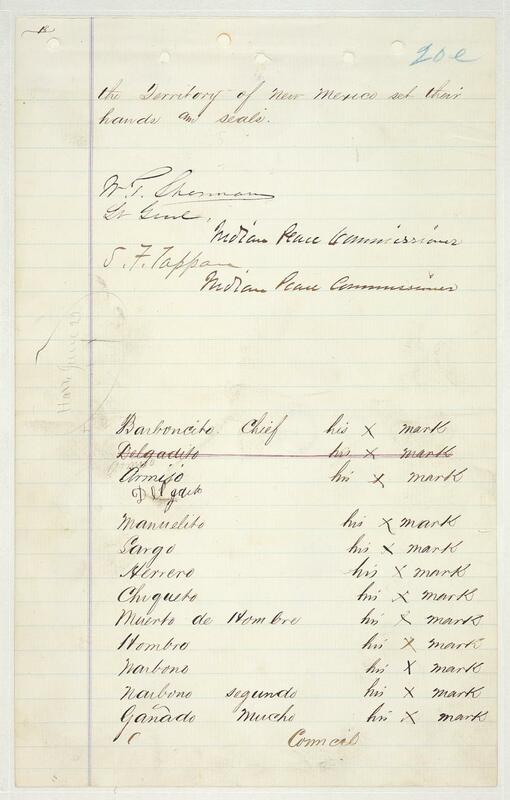 On June 1, 1868 Navajo (Diné) leaders signed a final treaty with the United States.5 At the Bosque Redondo reservation to which they had been exiled four years earlier, Diné leaders successfully persuaded General William Tecumseh Sherman to allow their people to return to their homeland. Of their return the Diné leader Manuelito said, “The days and nights were long before it came time for us to go to our homes…. When we saw the top of the mountain from Albuquerque we wondered if it was our mountain, and we felt like talking to the ground, we loved it so, and some of the old men and women cried with joy when they reached their homes.”6 Naal Tsoos Saní, or the Old Paper, as the Navajo have named the 1868 treaty, marks a shift in Navajo history, the point at which the Navajo people lost their freedom and autonomy and came under American colonial rule. Since the treaty, Navajo history has been one of ongoing efforts to reclaim their former independence, sovereignty and self-determination. 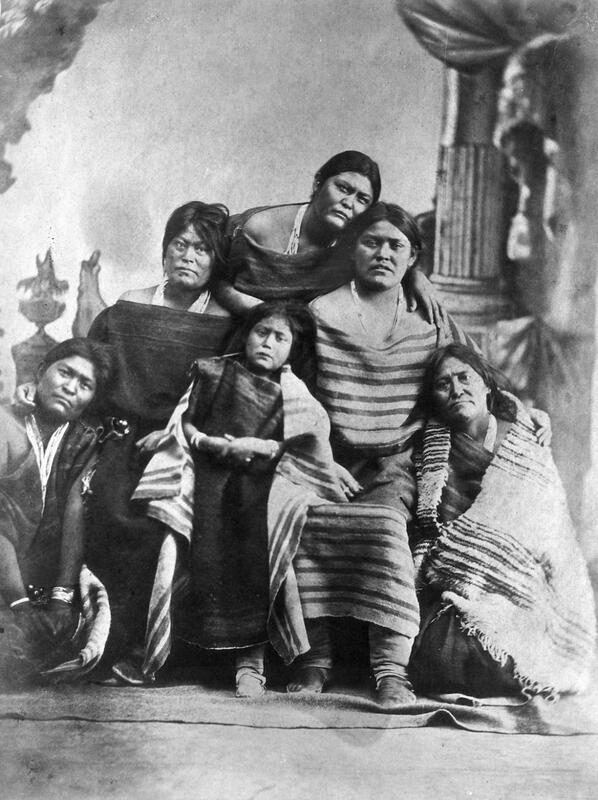 Sovereignty and self-determination for the Diné mean their concrete rights to self government, territorial integrity and cultural autonomy under international law.8 Between 1706 and 1819, Spain and Mexico signed treaties with Navajo leaders, thereby recognizing Navajo sovereignty.9 Laying claims to territory long before any Spaniard ever set foot in the Southwest, the peoples who would become the Diné emerged from the lower worlds in a region still known as Dinétah, or “among the People.” Dinétah is the place where earth people and Holy People interacted; their relationships form the foundation of practices and teachings that underlie Navajo life today. The Holy People set the Diné homeland’s boundaries with soil brought from the lower world, placing the soil as mountains in each of the four directions. Diné Bikéyah refers to the lands that lie within the four sacred mountains, which are named Sis Naajiní, or Blanca Peak, in the east; Tsoodził, or Mount Taylor, in the south; Dook’oosłííd, or the San Francisco Peaks, in the west; and Dibé Nitsaa, or Mount Hesperus, in the north. The soil brought from the world below also formed two other mountains: Dził Na’oodiłii, or Huerfano Mountain – east of the center, and Ch’ool’í’í, or Gobernador Knob – the center. These last two mountains are within Dinétah and central to events that occurred when the progenitors of the Diné emerged into the world we inhabit today, which is known as the Glittering World. Traditional Navajo philosophy names these six mountains as the leaders of the Diné. It is in this place that the philosophy sa’ah nagháí bik’eh hózhóón was established through actions and words. 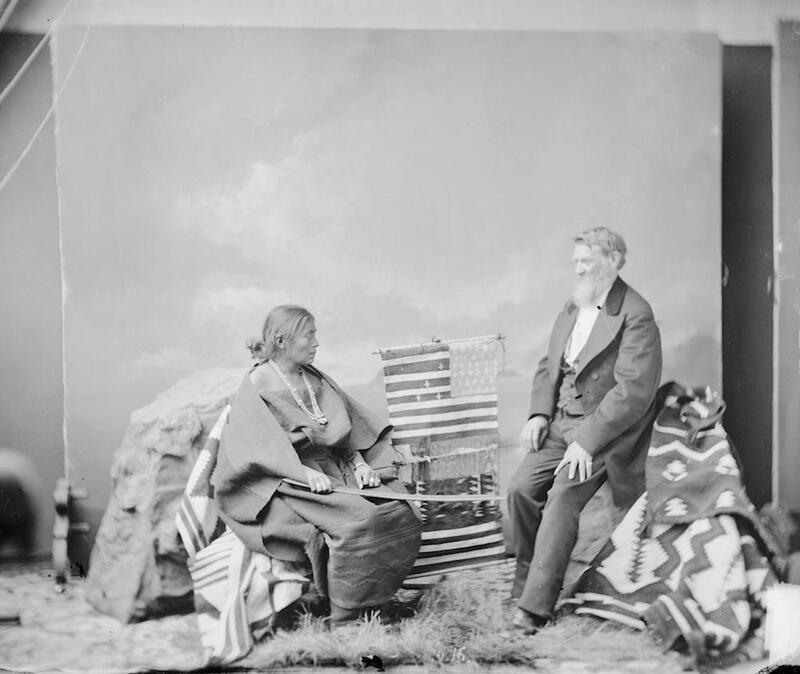 Navajo leaders and citizens declare that traditional teachings form the foundation of the sovereignty that the United States recognized in the Treaty of 1868. 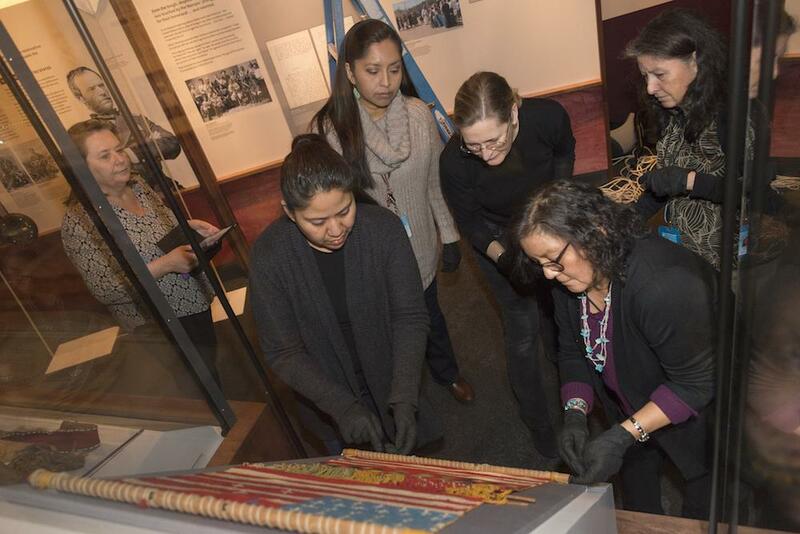 In affixing their X-marks to paper, Diné leaders both affirmed Diné sovereignty and acknowledged the authority of the United States to limit tribal sovereignty. They did what they had to do in an impossible situation to allow their people to have a future.12 This future, according to Native scholar Scott Lyons, meant “adopting new ways of living, thinking and being that do not necessarily emanate from a traditional cultural source (or, for that matter, ‘time immemorial’), and sometimes it means appropriating the new and changing it to feel like the old.”13 Further, the document remains an important symbol of Navajo sovereignty and all the possibilities for living once again under Diné philosophy. The cultural dimension of sovereignty is just as important as its legal and historical aspects. 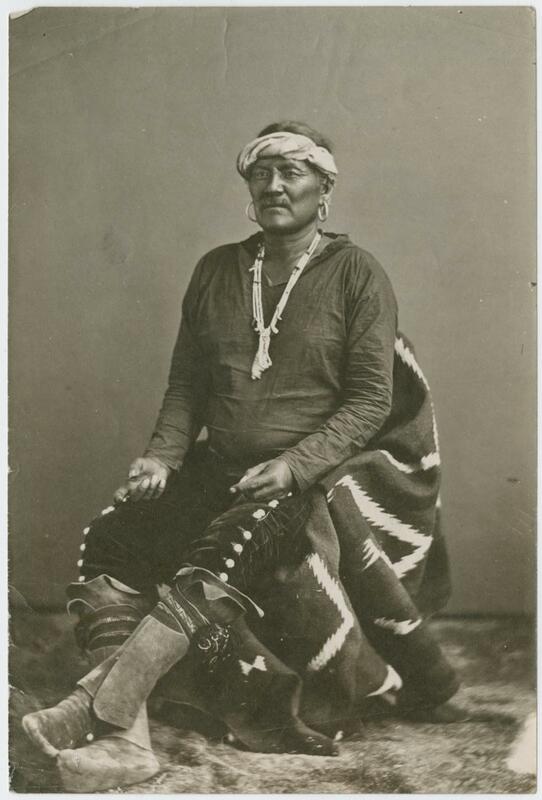 On numerous occasions Navajo leaders and their allies have commemorated the meaning of the 1868 Treaty. In 1968 the Navajo people celebrated the 100th anniversary of their return from the Bosque Redondo. In 2005, after years of planning, the Navajo and their allies dedicated the Bosque Redondo Memorial at the site of the old reservation in Fort Sumner. Gregory Scott Smith, a manager of the memorial, acknowledged its importance: “It will honor the memory of thousands of Navajo and Mescalero Apache people who suffered and died as a result of the forced relocation and internment. Moreover, it will celebrate the official birth of a sovereign nation born of the tragedy of Bosque Redondo.”22 These commemorations reflect Navajo leaders’ and their citizens’ sense of accomplishment for having retained cultural values and controlled their government in the decades since the Treaty was made. Every year Navajo citizens celebrate Navajo Treaty Day. Integral to the celebrations are the memories and stories about leaders such as Manuelito, his wife, Juanita (her public Navajo name was Asdzáá Tł’ógi), Barboncito and others who claimed the rights of their people to live within the four sacred mountains and in a manner of their own choosing. They sacrificed much to ensure the future of their nation and people. 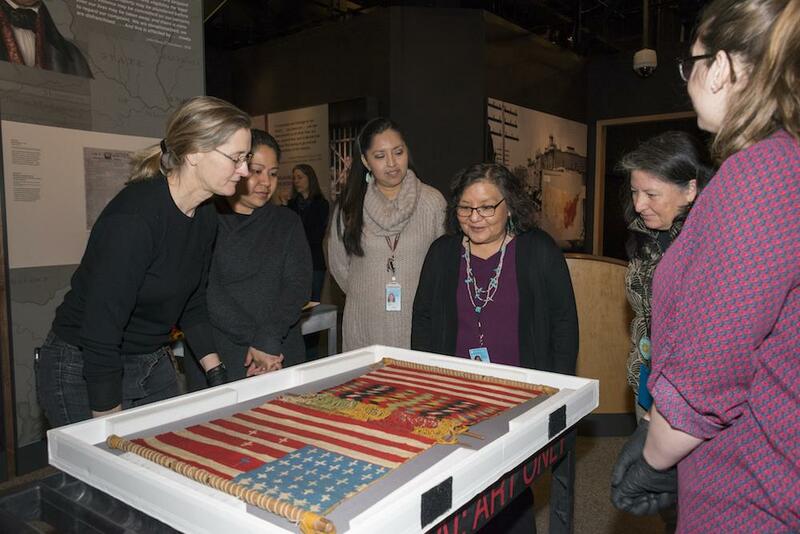 That sacrifice has made it possible for the Navajo to maintain and revitalize their culture, assert their sovereignty and continually negotiate their relationship with the United States. 1 Stuart Banner, How the Indians Lost Their Land: Law and Power on the Frontier (Cambridge: Belknap Press, 2007), 228-90. 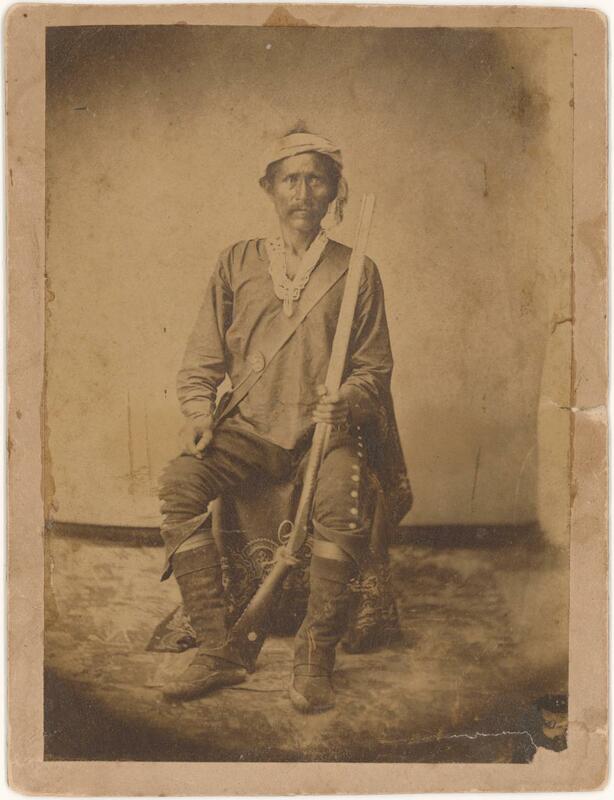 2 Peter Iverson, Diné: A History of the Navajos (Albuquerque: University of New Mexico Press, 2002), 59; John L. Kessell, “General Sherman and the Navajo Treaty of 1868: A Basic and Expedient Misunderstanding,” Western Historical Quarterly 12, no. 3 (July 1981): 263. 3 Peter Iverson, The Navajos (New York: Chelsea House, 1990), 46. 4 Navajo Area Office, Indian Health Service website, www.ihs.gov/navajo/index.cfm?module=nao_navajo_ nation; U.S. Department of Interior, Bureau of Indian Affairs, www.bia.gov/FAQs/index.htm. 5 The names Diné and Navajo are used interchangeably throughout this essay, because both refer to who we are. 6 William A. Keleher, Turmoil in New Mexico, 1846–1868 (Santa Fe: Rydal Press, 1952), 277, cited in Crawford R. Buell, “The Navajo ‘Long Walk’: Recollections by Navajos” in The Changing Ways of Southwestern Indians: A Historic Perspective, ed. Albert Schroeder (Glorieta, N.M.: Rio Grande Press, 1971), 183. 7 Cherokee Nation v. Georgia, 30 U.S. (5 Peters) 1, 17. 8 Joanne Barker, “For Whom Sovereignty Matters,” in Sovereignty Matters: Locations of Contestation and Possibility in Indigenous Struggles for Self-Determination (Lincoln: University of Nebraska Press, 2005), 18. 9 David E. Wilkins, The Navajo Political Experience (Tsaile, Ariz.: Diné College Press, 1999), 20–23, 210, 211. 10 John L. Kessell, “General Sherman and the Navajo Treaty of 1868: A Basic and Expedient Misunderstanding,” Western Historical Quarterly 12, no. 3 (1981). 111 Wallace Coffey and Rebecca Tsosie, “Rethinking the Tribal Sovereignty Doctrine: Tribal Sovereignty and the Collective Future of Indian Nations,” Stanford Law and Policy Review 12, no. 2 (2001): 194. 12 Joanne Barker, Native Acts: Law, Recognition, and Cultural Authenticity (Durham, N.C.: Duke University Press, 2011). Barker argues that as Native Peoples we should appreciate the deplorable conditions under which our leaders agreed to treaty terms with the United States. 13 Scott Richard Lyons, X-Marks: Native Signatures of Assent (Minneapolis: University of Minnesota Press, 2010), 32, 33. 14 Wilkins, Navajo Political Experience, 22. 17 Quoted in Jennifer Nez Denetdale, Reclaiming Diné History: The Legacies of Navajo Chief Manuelito and Juanita (Tucson: University of Arizona Press, 2007), 82-84. 19 Wilkins, Navajo Political Experience. 20 Bethany R. Berger, “Williams v. Lee and the Debate Over Indian Equality,” Michigan Law Review 109 (June 2011): 1463–528. 22 Gregory Scott Smith, “A Concern for the Future,” El Palacio 108 (Winter 2003): 19. See also Jennifer Nez Denetdale, The Long Walk: The Forced Navajo Exile (New York: Chelsea House, 2007), 112–13. 23 Lloyd L. Lee, “Reclaiming Indigenous Intellectual, Political, and Geographical Space: A Path for Navajo Nationhood,” American Indian Quarterly 32, no. 1 (Winter 2008): 96-110. 25 See the Navajo Nation Human Rights Commission’s website at www.nnhrc.navajo-nsn.gov. The commission is charged with several responsibilities, including the need to have a presence at the United Nations. 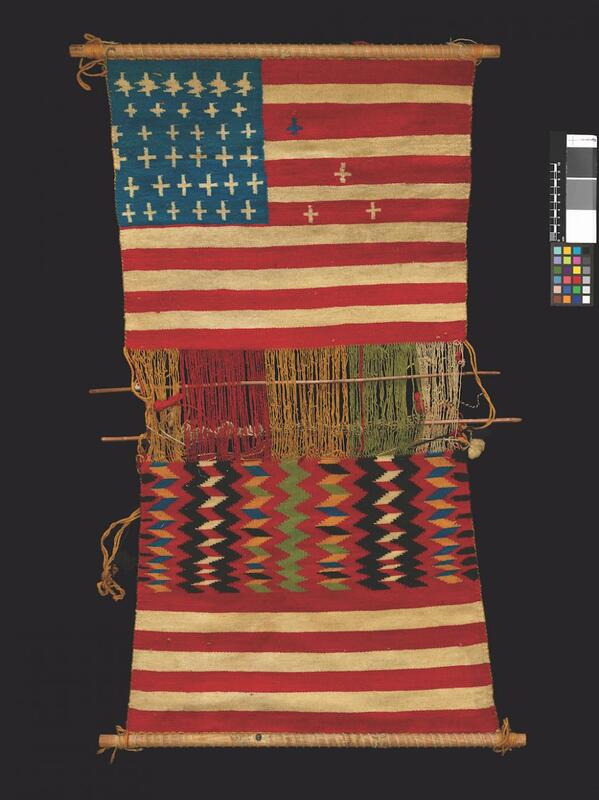 This article is excerpted from “Naal Tsoos Saní: The Navajo Treaty of 1868, Nation Building and Self- Determination,” pages 116-132, in Nation to Nation: Treaties Between the United States and American Indian Nations (NMAI and Smithsonian Books, 2014). Jennifer Nez Denetdale (Diné [Navajo]) is the first citizen of the Navajo Nation to earn a doctorate in history, and is an associate professor of American studies at the University of New Mexico. She is also a commissioner on the Navajo Nation Human Rights Commission, and an author of scholarly works and books on Navajo history for young adults.